Comment This print depicts an historic event. 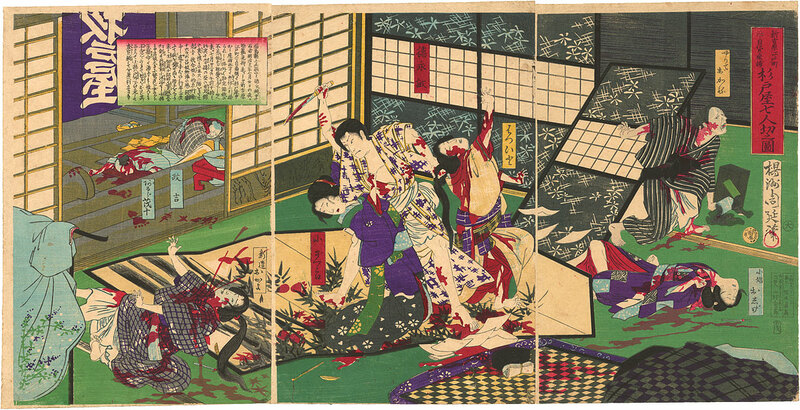 A young man from Fukushima, Tokunaga Bin, attacked and killed seven people in a brothel on July 23, 1879. A very rare subject for Chikanobu, who is much better known for his elegant designs of beautiful women.